A lot of people pride themselves on working out every single day. They will brag about how dedicated they are with sticking to a strict regimen of daily exercise. But is working out everyday the best way to build muscle? Should you take days off from the gym, or are rest days over rated? from Kevin, who is a member of the Total Fitness Bodybuilding Inner Circle Coaching Club. Why do we require rest periods for maximum growth. I noticed that I made better gains from only working out 4 days per week rather than every day. I enjoyed working out every day, but I did not get as good of results. My question is why do we need rest days? Why Do You Need Rest Days Between Workouts? The reason we need rest days becomes clear when you zoom out and look at the big picture of how muscle growth actually occurs, because muscle doesn’t grow when you are working out. That’s right… Going to the gym DOES NOT build muscle! The workout itself simply stimulates muscle growth, when you do hard weight training you are breaking down muscle tissue. It’s only when you give your body time to rest and recover in between workouts when actual muscle growth takes place. If you try and workout everyday, like a lot of people do, then you will actually break down your body faster than it can recover. While you maybe able to get away with doing daily workouts for the short term, it’s eventually going to catch up with you and your workouts in the gym are going to suffer. This is what’s known as “Over Training”. Basically you are breaking your body down faster then it can build back up. A good structured workout program will have rest days planned out in advance. Taking rest days will allow for better recovery of your muscles and central nervous system. This will give your body time to fully rest, recover, and grow between workouts. Then on the days when you do workout; you’ll feel stronger, have more energy, and be able to train harder in the gym. Building muscle comes down to stimulating growth in the gym and then allowing your body time to rest, recover, and grow. You can’t short-cut this process. As for how many rest days you should take. It really depends on your fitness level, experience, what type of program you’re following, etc. But a good general rule of thumb that works well for most people is to workout every other day. Having a full 48 hours of rest in between workouts to rest will allow you to hit the gym feeling strong and fresh. When I look back over my training journals I’ve generally made my best size and strength gains when following an every second day workout schedule. Now some people may like to stretch this out and workout 2 days on and 1 day off and they find that this works well for them. Bottom line there are a lot of variables involved so there isn’t a one size fits all answer. But I think every single strength and conditioning coach will agree that taking rest days off from the gym is an important part of any workout program. So if you are one of those guys who likes to workout everyday and your progress is stuck in a plateau, try cutting back on your workout frequency and taking more rest days. The extra recovery time maybe just the thing you need to start growing again. 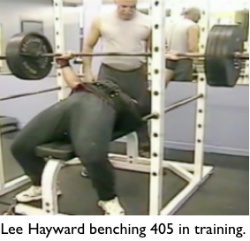 Lee Hayward started working out in 1990 and began competing in bodybuilding competitions in 1995. Then in 1999 he started www.LeeHayward.com the very website you are reading right now. Over the years Lee has committed himself to helping aspiring bodybuilding and fitness enthusiasts improve themselves by gaining muscle, burning body fat, and developing a strong healthy body. 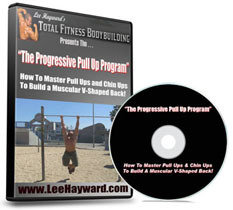 If you would like Lee to help you get in your personal best shape with personalized diet and training advice. 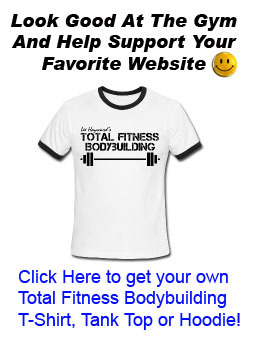 Then you should consider becoming a member of the Total Fitness Bodybuilding “Inner Circle” Coaching Club. 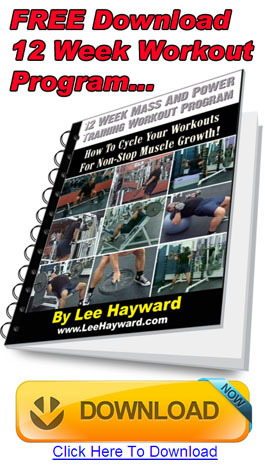 As an “Inner Circle” member you’ll get direct access to Lee Hayward through Live Video Chats, along with the Workout Of The Month Program, Muscle Building & Fat Loss Diet Plans, and the Private Members Only Discussion Forum, where you can chat with other like minded members who are serious about getting in their best shape and who share the same goals as you. Click Here to get more info about becoming a member of the Total Fitness Bodybuilding “Inner Circle” Coaching Club! Good day Lee; What if I workout four days week, 30 minutes a day, two days at a time? 10 minutes of cardio and 20 minutes of bodybuilding! Would this be considered a good routine? I do 1 day weights, one day cardio in the form of body weight exercise, usually take 1 day off out of seven and take a full week off every 6/8 weeks as suggested by yourself or one of your cohorts. The week off seems to help a great deal both physically and mentally. Most likely you are getting adequate rest with your 4 day per week routine. But the main thing to keep track of is your actual workout progress. If you are getting stronger and making measurable progress than that means your body is recovering between workouts. That’s fine, doing cardio is not as stressful on the muscles and your central nervous system. I will often do cardio such as walking or bicycling on my off days from the gym. I am 66 yo started weight train and workout 4 months ago. I have lost 3 inches to my waist (started at 42″) and only 9 lbs in weight (212 to 203). I went to the gym Monday and Thursday for chest, back, biceps and triceps. Tuesday and Friday for shoulder and legs. I took Wednesday, Saturday and Sunday as rest day. Is this a good workout schedule? How can I lose more weight? I am doing 30 min. of body weight core exercise with each workout. Hi Lee, I’ve always been petite and I’ve just starteda strength training program. But ultimately my goal is just to tone. What is the best way to go about this? Ie: low weights, more reps, etc? That’s fine because you are still allowing for 3 days of rest each week. That schedule is fine because you are allowing for 3 rest days per week. 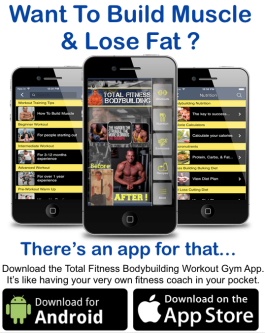 To help increase fat loss you can increase your cardio and lower your caloric intake. This will cause your body to burn more bodyfat for energy. Hi Lee, I’ve always been petite and I’ve just startedastrength training program. But ultimately my goal is just to tone. What is the best way to go about this? Ie: low weights, more reps, etc? You still need to focus on building strength and getting stronger with your workouts. That’s the basis of strength training. A good general starting point is to do 3 sets of 10 reps for each exercise and strive to lift more weight when you can get all 3 sets of 10 reps with good form. Yes that’s fine. You can follow pretty much any body part split as long as you are training all your major muscle groups, stimulating the muscles with progressive overload, and allowing your body adequate time for rest and recovery. My friend has been working out every day for 1 year: Sessions of 20-40 minutes with 3-4 minute rest in between sets. Do you think he’s doing too much? That’s a great routine, combining both strength training and high intensity conditioning work with the punching bag. Keep it up! In this case the workouts are relatively short. A 20-40 minute workout is pretty short compared to what some people do, I don’t see any problem in doing this on a daily basis. Left a comment above. Hope you got it OK Mr. Lee. I am a 130lb 29 yr old with an insanely high metabolism. I have always been obsessed with fitness and how I feel after a good workout. I just started back at it for the first time since the military several years ago. Anyway, I’m working out every other day focusing primarily on compound muscle movement with heavy weight 6-8 reps/set for 3 sets. I’m resting enough and eating every 2-3 hours with cycling as my cardio because it’s my transportation so it takes care of that end. Am I on the path to mass gains or at the very least some good strength gains? I’m obsessed again and need some solid advice on how to pursue my goals. I ask because most of my knowledge is on how to get cut not mass. depending on the workload it can often be like a full body workout,can this be too much for the muscles? You need to listen to your body and adjust your workouts accordingly. If you feel extra tired, then don’t hesitate to take an additional day of rest from your workout routine. really like your opinions, I too believe in having a rest day. At 62 this seems to work for the best, and being single and enjoying life to the max and working out is a big part of that. What about cardio on “rest days”?,does that help or not? I personally like to do low intensity cardio on my rest days from weight training. This serves as a great form of “active recovery”. I go to the gym 5 days/week, resting Tuesday and friday, I stay there for almost 180 minutes, 120 minute for bodybuilding, and 60 minute for fitness and cardio excercises, is it okay to do that or am I overdosing my body? 3 hour long workouts is A LOT. Personally I’d recommend reducing the volume of your workouts. One way to do this is to alternate weight training one day with cardio training the next day.